The ENABLE TAAT project is supporting the establishment of twenty three more independent agribusiness enterprises. The owners of the businesses were given the opportunity to pitch their business ideas before a team of experts from Ekimiks Nigeria Limited at the ENABLE TAAT Implementation workshop held in Nairobi between 20 to 24 August. The workshop tagged ENABLE TAAT Implementation Workshop: Agripreneur Opportunities and Responsibilities in Central, East and Southern Africa (ET CEASA) was a follow up to the ENABLE TAAT implementation planning meeting held at IITA Headquarters in May. ENABLE TAAT intends to work in 19 countries over the next few years, but with focus on the six countries that have completed their agribusiness incubations. These countries are DR Congo, Kenya, Nigeria, Tanzania, Uganda and Zambia. Agripreneurs in these countries have been trained and prepared business plans intended for funding and startups. 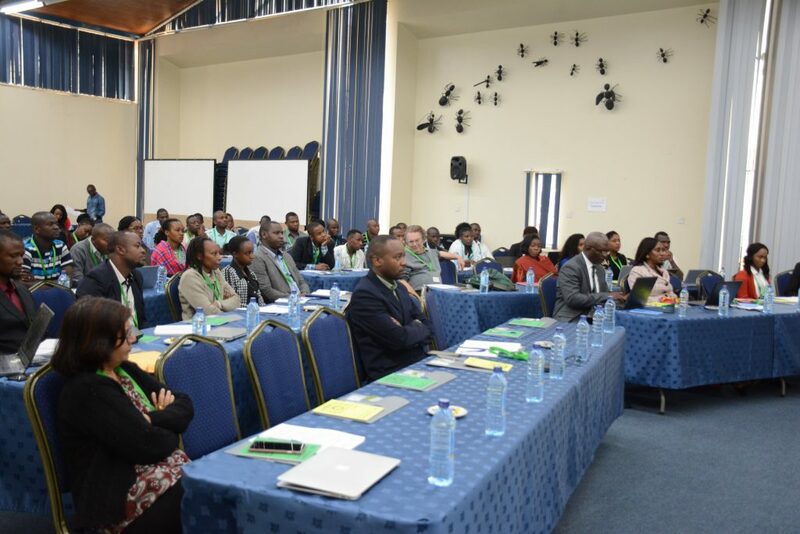 ET CEASA was organized to give the youth in the Central, East and Southern Africa an opportunity to develop a detailed work plan for the implementation of the project in the region and to present their business ideas before a panel of business experts. The qualified businesses are being supported through ENABLE TAAT under the Capacity Building and Technical Assistance (CBTA) platform. Through this, 34 businesses have so far been financed after meeting the highlighted CBTA support and these requirements includes, but not limited to a bankable business plan, business registration, active business account and a detailed work plan while the additional 23 that was approved during ET CEASA will be supported with funds before the end of the year. Some of the new businesses to be supported cut across the value chains of maize, livestock, soybean, cassava, rice, fish, horticulture, online marketing platform etc. Other Agripreneur groups also developed work plans to fulfill specific tasks that provide opportunities for other youths. The work plan is drafted around advocacy campaigns, youth registration for expanded IYA services, outreach campaigns that promotes the TAAT value chains and develop additional agribusiness incubations that raises the compact’s competency across all of the TAAT value chains. Addressing the participants at the workshop, the Director General of IITA, Dr Nteranya Sanginga advised the youth to be courageous and dedicate themselves to their businesses. He added that the purpose of IYA is not only to build great business men in the agricultural sector, but the next generation of leaders who understands what it takes to create jobs, manage, and address the basic needs of people. Also addressing the youths, the CEO of Ekimiks Nigeria Limited, Mr Tope Miriki advised them not to look at the challenges involved in climbing the ladder to success in business but rather maintain a high level of integrity in operating their businesses. He stated that IITA has given them a rare opportunity to fly and encourages them to support other youths by creating jobs. The ET CEASA took a different dimension through the demonstration and promotion of technologies. The demonstration which is in partnership with Nairobi-based technology providers featured small scale mechanization, drip irrigation and Fall Army Worm Rapid Response. 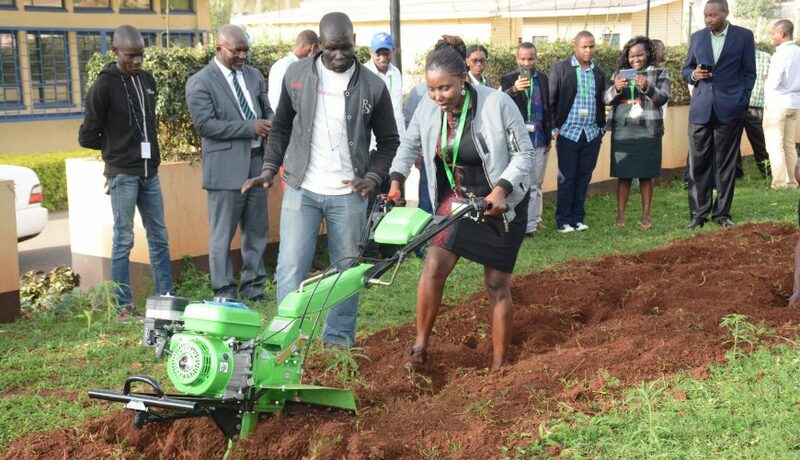 The essence of the technology demonstration is not only to portray that mechanization is labor efficient and important to modernized African agriculture, but to also encourage them to build businesses around the sales and services of these equipments. The technology demonstrations were conducted in partnership with Ikonic Farm Machinery, Amiran Kenya Limited and HortiCenter in Kenya.